I will help you achieve your health and wellness goals. Do you want to unlock your full potential and feel your best? Are you tired of short term diets that don’t work? Do you want to take charge of your health and happiness? Hi there! 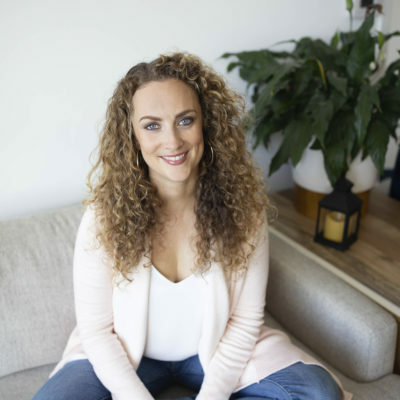 My name is Annika Schimmer, I am a certified Holistic Health Coach and a certified Autoimmune Paleo Coach. I also have a Bachelor of Science in Biology with a minor in Public Health and I am a certified Pilates instructor. My passion is to help people unlock their full potential and guiding them to achieve their health goals. I have experienced the power that healthy choices have on our well-being by managing my autoimmune disease with food and lifestyle since 2015. I used to think changing my diet would take away all happiness in my life and I know from my own experience how hard it is at first. But I am the living proof that it is possible. Through my own journey and struggles I have learned a lot that I can share with my clients. To read more about me click here. A Health Coach is a supportive mentor and wellness authority helping clients feel their best through food & lifestyle changes. He or she will tailor an individualized wellness program to meet the specific needs of the clients and help them achieve their health goals. A Health Coach offers support, motivation, information and accountability. Everyone who needs help achieving their health goals and has trouble implementing lasting lifestyle changes. A lot of people know what they should do differently but somehow cannot make it happen due to feeling overwhelmed and not knowing how and where to start. A Health Coach will help by providing practical tips, guidance, accountability, motivation and support. Working with me is not a weight loss program nor a short term diet fix. Although weight loss can be a positive side effect, the goal is to work towards implementing lasting lifestyle changes and eating a healthy and balanced diet. 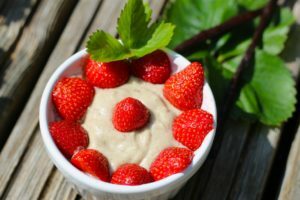 A balanced and nutrient dense diet is the cornerstone of good health however other aspects such as quality sleep, exercise, relationships and happiness are as important. We will work together to optimize all areas of your life. I will be there to guide and help you with tips, tricks and information. However the focus will be to teach you how to take charge of your own health and give you the tools to tackle issues and stay on track all by yourself in the future. I work by incorporating healthy foods and habits into your daily life. Instead of focusing on what you cannot do or eat we will focus on adding nutrient dense foods and positive actions. This will naturally crowd out foods and behaviors that don’t serve you. Everyone is different and has their unique challenges. When working with me one-on-one, your program will be tailored to your specific needs and circumstances. No one's journey is the same and I honor that. I like to focus on solutions not problems and work on mindset shifts. Having a positive attitude makes everything in life so much easier. I will be there to motivate you, be your cheerleader and help you tackle challenges in a more positive way. Are you ready to reach your health goals? If you only need a little help and not much accountability then this is a good option for you. It also works great for occasional follow up appointments to stay on track. If you choose to upgrade to another program the fee will count towards it. If you have an autoimmune disease and want to nourish your body with healing foods while cutting out inflammatory ones this comprehensive program is for you. The length of the program varies from person to person. If you want to take your health to the next level this program is for you. Lasting lifestyle changes take time. During our 6 months together I will guide you through the ups and downs of your life and help you create habits that stick.